With the next destination set, Monotoli apologizes the best way he can - With a free helicopter! Stepping out onto the heliport leads to an encounter that will give birth to history's greatest monster. And no, I do not mean Uwe Boll. 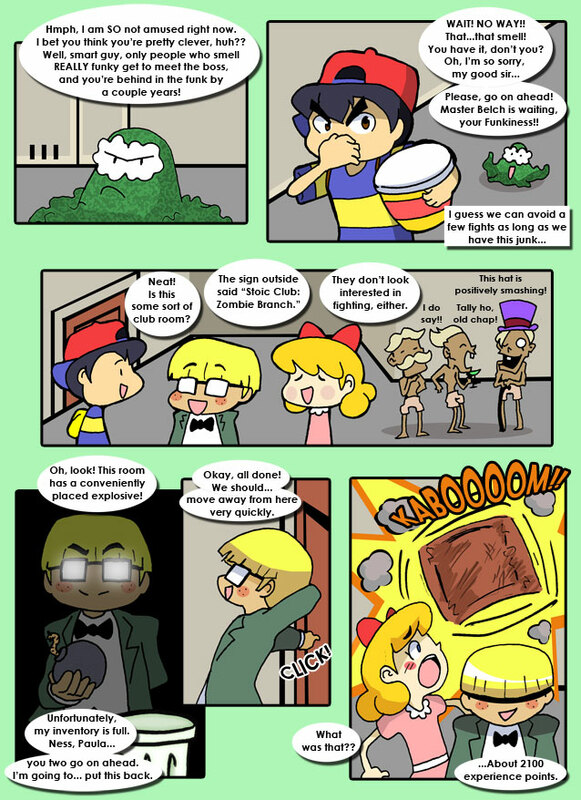 A glimpse into the past shows just how selfish Pokey can be, not to mention where he got the idea for the costumes his beloved Pig Masks wear. As it turns out, Pork Rangers is one of the most watched programs on the Happy Boxes in Mother 3. As if toys in his hands, the people of the world are all put there to be manipulated in this ultimate game Pokey is playing. Although he may not get his wish for quite some time, Pokey is certainly ambitious enough to make his dreams a reality.